I had the great pleasure of speaking to a group of people who care deeply about how digital signage is used, where it’s implemented, and the best ways to provide solutions to brands who want to connect with customers. Digital Signage Federation (DSF) Toronto Meet & Greet, my presentation focused on how choosing the right content for your signage can help bring a brand to life by creating deep, emotional customer engagement that is fully integrated into the path to purchase. Your biggest challenge – especially with Gen Y and Gen Z – is to pull their attention away from their phones. At Shikatani Lacroix, we (affectionately) call customers glued to their own devices Mobile Zombies. They mediate the world around themselves with screens, yet they’re often the hardest group to connect with because they rely on their phones for just about everything. But our research demonstrates that these consumers aren’t a lost cause – most of them would happily engage with your signage if you gave them a good enough reason to look up from their screens. 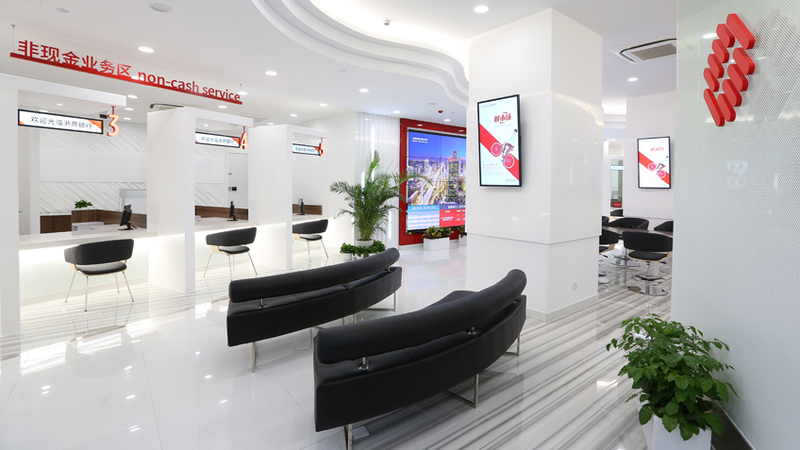 Finding ways to make your digital signage useful and contextually relevant. Maybe it’s bad luck, but nine times out of ten, when I visit a sports bar, the game I want to watch is on the screen directly behind me. That’s when I pull out my phone, check on my fantasy sports team, and reconsider spending next game night in my own living room. 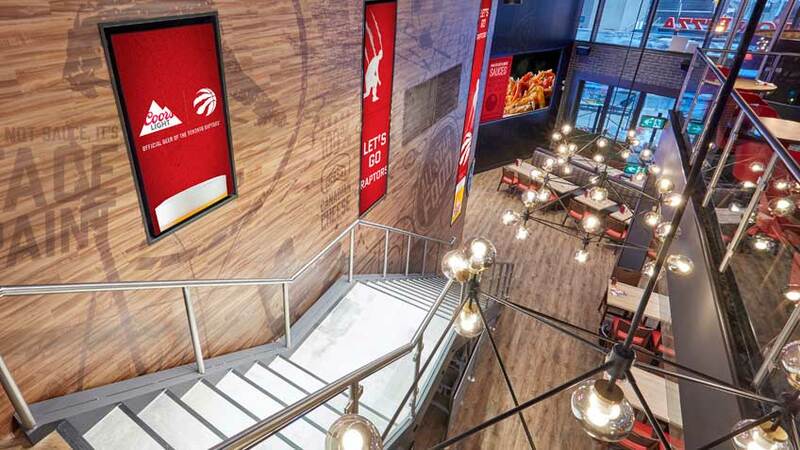 We helped Boston Pizza solve this problem by developing signs that included up-to-the-minute game and player information from five different sports leagues. By leveraging the digital experience we were able to reduce customers’ fear of missing out on the game scores that that they could not watch at the same time. We also solved other potential pain points such as food choice, feature products, and telling the brand story through additional digital experiences. 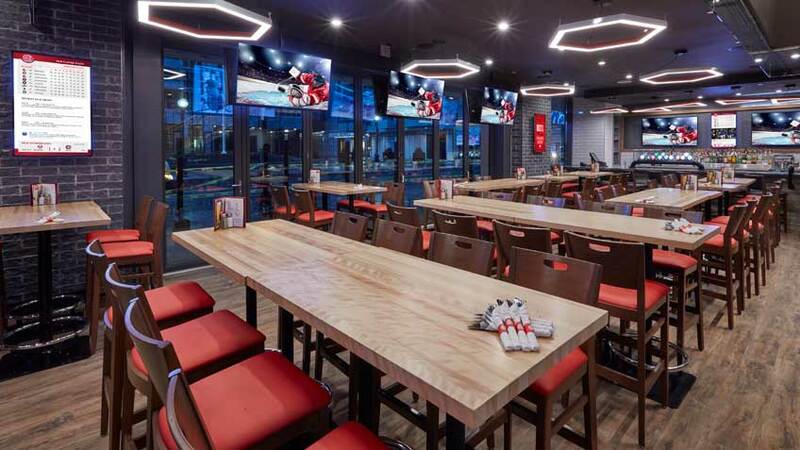 This helped reinforce BP’s position as the best place to watch the game and the go-to place for team celebration. Finally, integrating physical and digital experiences means always keeping the big picture in mind. It’s important to remember that successful digital experiences are integrated in the design of the physical space from the start. The medium and the message are customer-facing, so they should effectively help build the customer journey and enhance the path to purchase. When done well, it connects the customer emotionally, creates a deeper emotional connection to the brand, and ultimately drives purchase. Thank you to Jeff Kent for inviting me to speak with DSF members and thank you to The Rec Room for hosting the event. .Stay tuned for the recording of this presentation – the best way to ensure you don’t miss it is to sign up for our newsletter now.